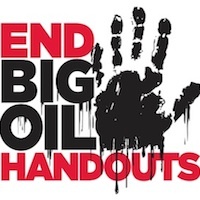 California is the 4th-largest oil-producing state, but it is the ONLY state that does NOT tax Big Oil. We could raise $2 billion per year to begin repairing the damage of previous cuts to public education, but only if Democrats in the Legislature use their new super-majority power to pass it. Sarah Palin signed Alaska's oil severance tax of 25%! Texas charges 7.5%. Why doesn't California make Big Oil pay for the privilege of profiting off our natural resources? State Senator Noreen Evans (D-Santa Rosa) has proposed Senate Bill 241, which would tax oil extraction at a modest 9.9%. Public higher education would receive 93% of revenues, and 7% would go to the Department of Parks and Recreation. Stand with Sen. Evans and tell Sacramento: "Make Big Oil pay their fair share to the people of California, while refunding public higher education and state parks. Pass SB 241."